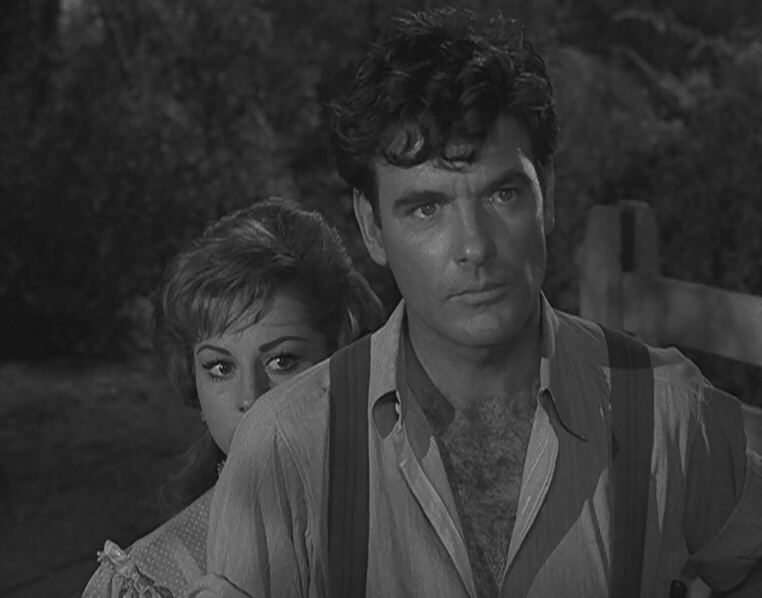 “Two” marks the first time an episode not written by Serling opened a season of The Twilight Zone. He and producer Buck Houghton must have felt they had something special on their hands. They did. For more on why this episode works so well, check this post. “The Grave” is, essentially, Pittman’s take on a campfire story that had been around for a long time. In fact, it was one I had heard before I ever saw The Twilight Zone. 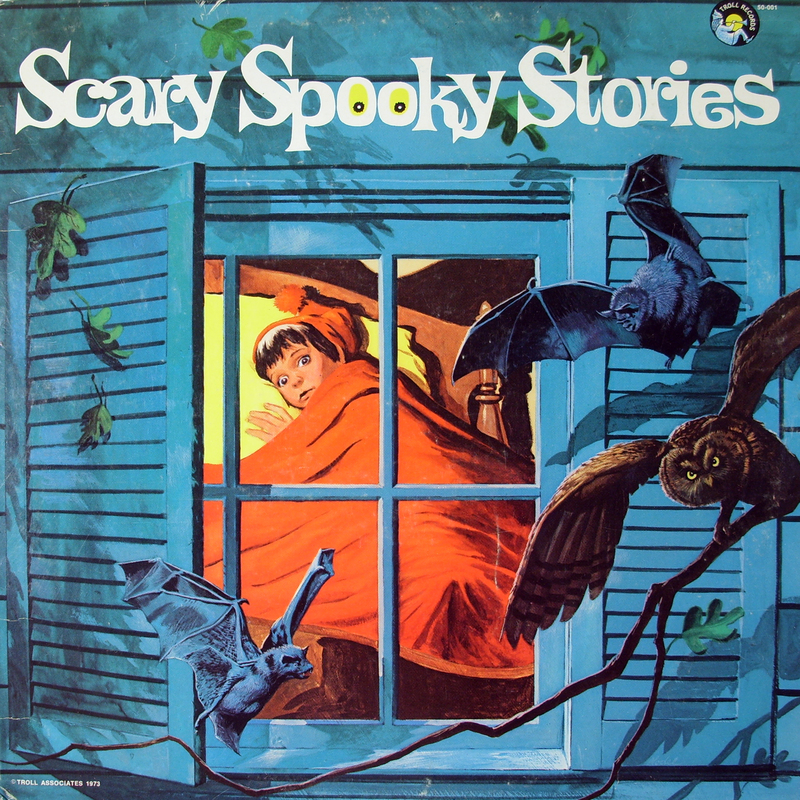 When I was a kid, I had a record called “Scary Spooky Stories”. One of the tracks, “The Dare”, told the story of a boy challenged by his friends to visit — at night, of course — the grave of a mean old man who had threatened to grab anyone who came near his final resting place. “The Dare” ends with the boy being discovered atop the grave, coat pinned to the cold ground. But Pittman adds a twist that’s pure TZ: evidence that the wind would have kept Conny’s coat well out of the path of the knife. Pinto, it seems, exacted his revenge after all. 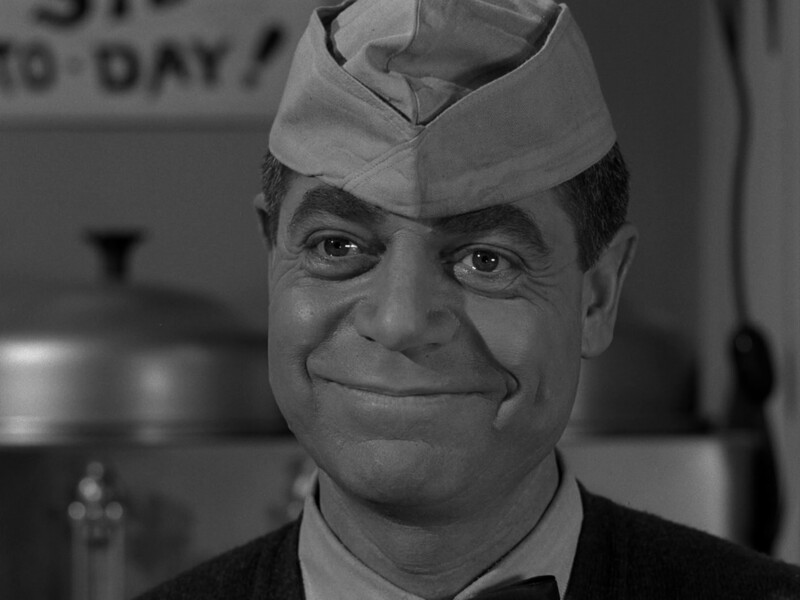 Let’s face it: A Twilight Zone episode about a man who returns from the dead could have been a rather frightening one. But Serling knew the importance of changing the tone from time to time, and so we got this wonderfully amusing episode from Pittman. 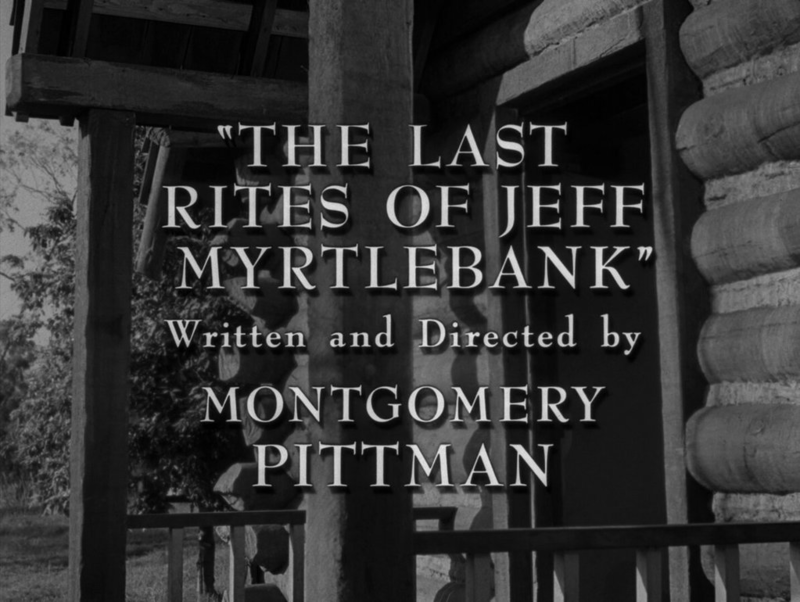 James Best plays Jeff Myrtlebank, a man who startles the residents of his back-woods town by climbing out of the coffin at his own funeral. Happy ending, right? Nope, that’s just the beginning. After all, this is the fifth dimension, so we find Jeff’s family and friends all dreading his approach, convinced he’s not the same man at all — that some wandering spirit has inhabited his body. That would explain his personality shift, wouldn’t it? Hmm, I wrote about this episode, too. Mr. Pittman is well-covered on this blog! Either Earl Hamner or Monty Pittman could start up yarning in their easy colloquial way, with one listener in the group very late for … his wedding, let’s say … and that groom would wind up listening, anxious for the end to come, even annoyed when it did not come quickly, but unable to break away. Either of these two could sit down in my office, start spinning, and in twenty minutes, I knew I had a good episode coming once we wrestled the spoken word down to the reality of the filmic word. Soaring rhetoric had to go, making sure we had a script that the artists of the set and of post-production could bring to life without losing the magic of these men’s original conception. “Magic” is certainly the word for it. Pittman’s work slots in beautifully among such towering scriptwriters as Charles Beaumont, Richard Matheson, and George Clayton Johnson. His tenure on TZ, I’m afraid, was far too short. You’ll notice that it all came at the tail end of Season 2 and in the first half of Season 3. He might have done much more, but on June 26, 1962, he died of cancer at only 45. 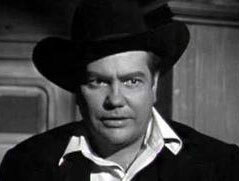 His death, in fact, occurred a mere four months after his last TZ episode aired. Pittman’s untimely demise marked the end of a career that included not only writing and directing, but acting. You can find his work on many shows, from Maverick to 77 Sunset Strip. But for sheer storytelling prowess and visual flair, I think you’ll be hard-pressed to find more impressive work than the five episodes of The Twilight Zone that bear his mark. “The good Lord must have had a powerful reason to want to take him so young in life,” the preacher says in “The Last Rites of Jeff Myrtlebank”. He could, alas, have been eulogizing “Monty”. I don’t know what the Lord’s reason was, but I’m glad that Pittman’s imaginative and enjoyable work on The Twilight Zone lives on. Posted on 03/31/2017, in Twilight Zone and tagged Charles Beaumont, Dead Man's Shoes, George Clayton Johnson, Montgomery Pittman, Richard Matheson, Rod Serling, The Grave, The Last Rites of Jeff Myrtlebank, Twilight Zone, Two, Will the Real Martian Please Stand Up?. Bookmark the permalink. 9 Comments. I love this post, Paul! I have seen all three of these episodes, but confess that I would not, in fact, have been able to name Pittman, let alone his distinction as the Zone’s sole writer-director. Perfect example of how you’re always teaching us new and interesting things about this classic series. How prevalent a practice was it, in 1950s-60s Hollywood, for writers to direct their own scripts? Thanks, Mike! That’s part of why I wanted to spotlight his episodes — I hated to see someone who’d done such fine work on TZ (and elsewhere) go virtually unrecognized. It certainly wasn’t as common then for anyone to direct his own scripts, which makes his body of work all the more noteworthy. Glad you enjoyed the post! As always with your posts, I learn quite a bit. I was very familiar with Matheson and Beaumont and I do remember seeing Mr. Pittman’s name. 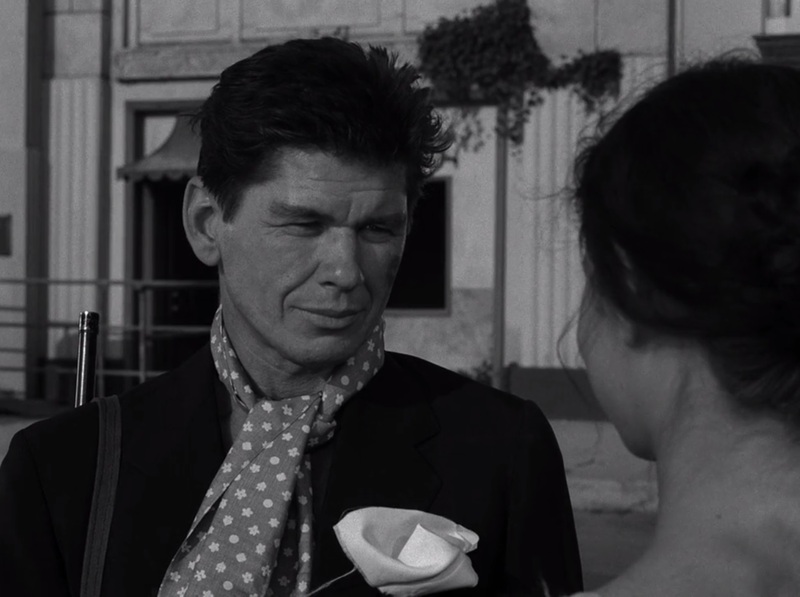 The Charles Bronson episode was very well done and quite a departure for him and Elizabeth Montgomery. I am going to have to get a hold of these other episodes. Great retro. Thanks! These episodes are definitely worth checking out, either on disc or by streaming on Netflix, Hulu or Amazon Prime. It’s a shame he’s not better known — perhaps if he’d had more time. At least we have his wonderful TZs. This is true. Such a tragedy to die at 45. You are right, Paul. Think of the Night Gallery episodes he could have written or other classic 60s, 70s shows. 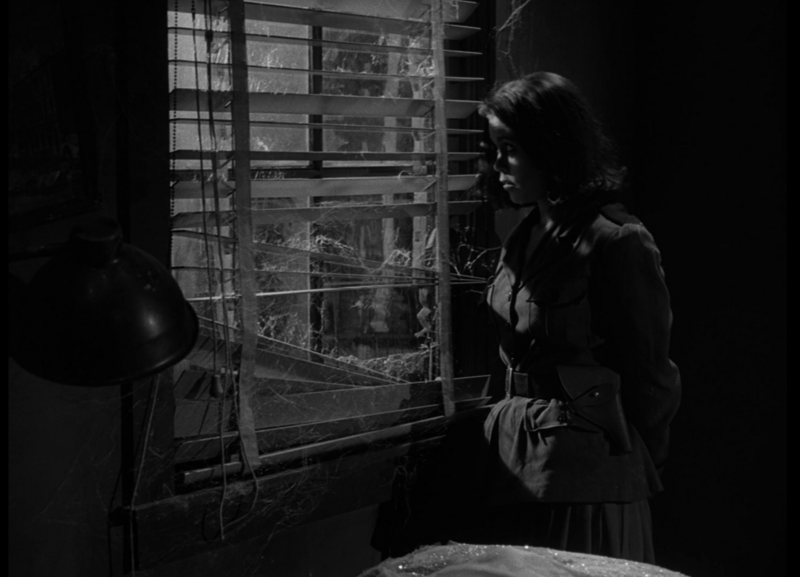 Like many of the TZ episodes, each time I watch these, more and more nuances reveal themselves. Nothing was left to chance. 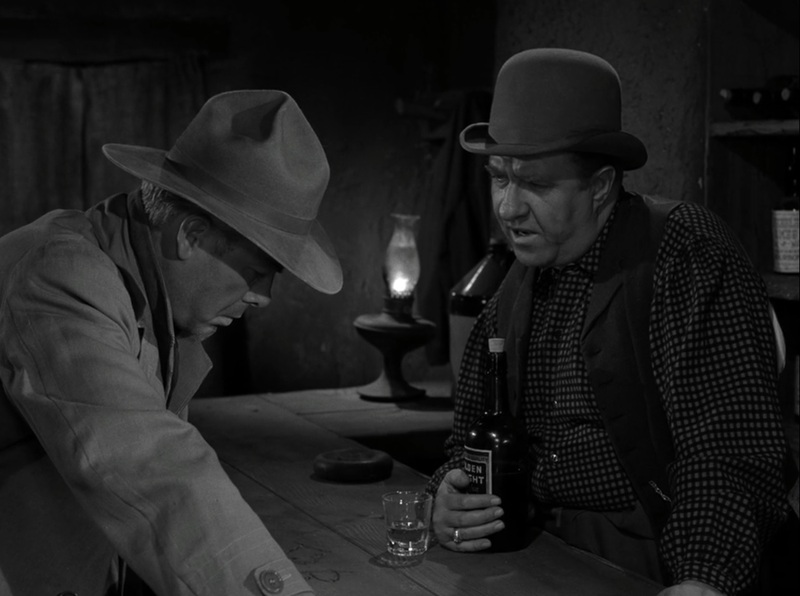 I love the dialog in “The Grave” – the set is so sparse, but the dialog and the very coarse action just sets the mood. The tree episodes you’ve highlighted, Paul have to be on any list of favorites. I guess that’s why we have to have Top-25 and not a Top-10. As usual, I thank you for the thorough job and for finding a new way to bring out an interesting story from a decades old series. Ha, my WP app must be acting funky, Dan — I wrote a reply to this over the weekend on my phone, and now it’s not there. Oh, well. Suffice it to say that I agree (big surprise, huh?) — the dialogue is so pitch-perfect and delivered so expertly by these men. Such pros. With casts like this, yes, a standard top 10 won’t do. Thanks as well for the compliment — that’s exactly what I aim to do, so I’m pleased to hear it! They attracted the best actors and actresses of this time period. Wonderful article and so many references included. Thanks, Paul.